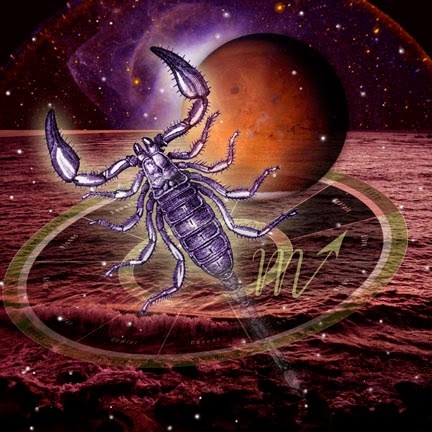 My Moon, Mars and Pluto are placed in Scorpio. Despite being an Aquarius, I'm water dominant and I relate very well to this sign. Over the years, I've had a lot of friends and boyfriends who were Scorpios. My shih-tzu is also a Scorpio. I always use this sign as an example as to why it's important to examine your entire natal chart to determine compatibility. Traditionally, Aquarius and Scorpio don't get each other perfectly but I've always liked this sign. *Scorpio type of song, for sure!